No other part of your home can protect and ruin your home as much asthe roofing. If the material is great and it’s in a really good condition, it can protect your family and home from harsh elements. If there’s a problem with your roofing, however, it can destroy your home fast enough, too. That is why it is so important that your roofing is always in perfect condition. You should not allow it to deteriorate. However, if it’s already in a bad condition or too old, the only thing left to do is to replace it. When it comes to roof replacement, there are 2 important decisions you should make: choosing the right contractor and selecting the right roofing type. Because you are from King City, making the decision about who to call for your roofing project is not that difficult. Ask around and homeowners will tell you, Dillon Bros. Roofing is the one you should select. Since we started in 1998, our family-owned and operated business has provided Toronto, Your, and the Durham regions with the most reliable roofing services and highest quality roofing materials. Whether it’s a commercial or a residential project, Dillon Bros. Roofing handles it expertly. Every member of our team has gone through the best roofing and safety training you can find in Canada. That’s why our workmanship is a cut above the rest. Another thing you’ll love is how we make sure that we do not leave any messes after our job is done. That means your garden or landscaping will look exactly the same way it did before we started our work! 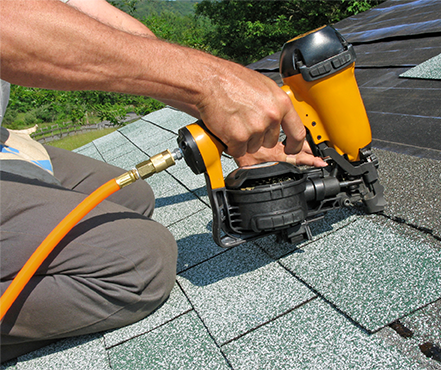 Shingle roofing is preferred by a lot of homeowners because of its top notch qualities. It is durable, affordable, and of course elegant. Canadians love it because it withstands extreme temperatures as well. Dillon Bros. Roofing offers the highest quality shingles like BP, GAF, and IKO shingles for residential and commercial properties. They come in 25 to lifetime warranties, too. We also provide natural cedar hand-split and taper-sawn shakes and shingles. Homeowners who are on the lookout for eco-friendly, as well as low-maintenance and lightweight roofing options should definitely consider metal roofing. Shingle-style 3-foot interlocking Katola systems and full-length panel roofs from STEEL TILE ROOFING are available from Dillon Bros. Roofing. We also install BUCHNER ALUMINUM SHINGLES that come in a selection of colours. You’ll surely find one that will look great on your home! Flat roofing offers a cost-effective option for homeowners. Another great thing about it is that it’s quite easy to clean and safer than other roofing types because there’s less chance of falling off a flat roof! 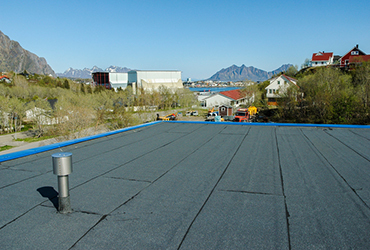 We have flat roofing membranes available to you, including classic 2-ply modified bitumen and single ply TPO and EDPM systems. Our seasoned roofers are licensed to install CARLISLE, FIRESTONE, IKO, and SOPREMA roofs. Dillon Bros. Roofing also installs sun tunnels and skylights from Artistic Skylight Domes and Velux. Aside from that, we also offer services like installation of gutter clean systems as well as aluminum and vinyl siding. We handle eaves trough cleaning and snow removal, too. Dillon Bros. Roofing may not offer you the lowest bid, but we promise the best roofing services in King City at the fairest pricing possible. We value our customers and deliver more than what is expected of us. You may have questions and concerns about your roofing or our services, and we want you to know that we are always available to answer your queries. We can even help you decide which roofing type is the most appropriate for your property! If you are ready to have new roofing installed or want to try our other services, all you need to do is call 1-807-606-1718. Dillon Bros. Roofing is here and at your service!